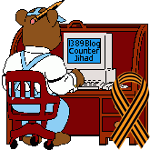 water transportation — 1389 Blog - Counterjihad! What makes it so difficult to locate an airplane’s black box on the ocean floor? Will the US finally stand up to Somali pirates? This is 2011! Why do we still have pirates?